Flowers have become a universal gift that have the ability to brighten anybody’s day. Studies have shown that the majority of people appreciate receiving a bouquet and the positive feelings from the gift linger on for quite some time afterward. This is true for women and men, though the menfolk are often overlooked over worries that a floral gift might seem feminine. Frankly, it’s tough to go wrong with sending flowers, but if you’d like to amplify the masculinity of a floral gift for the man in your life, apply these four tips as you make your selection. Without a doubt, some flowers really do have a feminine appearance. For example, the orchid, with its long stem and carefully-tucked curvaceous blossom, has represented femininity throughout the ages. There’s very little it could be described as other than ladylike, though it could still be appropriate if you’d like the man to think of you when he sees it or if the orchid has played a role in your history together. On the other hand, some blooms feel much more masculine, like the anthurium, with its broad waxy leaves in deep red. The bird of paradise flower is also a good choice, with its unexpectedly-pointed top. There are lots to choose from, but a basic guideline is to seek out unique shapes and flowers that make a statement whenever possible. The anthurium is a great example where colour is concerned as well. The red is ideal for love or passion, but it doesn’t convey quite the same connotation that a rose does. Deeper and richer colours tend to be well-received, and they’re easily found in almost any variety of bloom nowadays due to the careful breeding of flowers. We’ve all seen standard floral arrangements or bouquets done up in a vase with a handful of flowers and some baby’s breath. These are indeed lovely- timeless classics, but you can think outside the box when it comes to selecting flowers for a man. Look for non-traditional holders, such as bottles, boxes, or even containers fashioned out of natural elements like wood. Many florists are incorporating moss and non-traditional fill-flowers, too, which are great choices when you’re buying flowers for a man. When in doubt, potted plants of all types work well, too. Bamboo, which is associated with luck, has become very popular among men. Because they can be trained to bend, curve, and loop, each one has its own personality. An arrangement of succulents is a little more off the beaten path and each arrangement takes on a life of its own. Choices like these are ideal if you’re giving him a gift at work or to keep on his desk, as they provide visual appeal while remaining minimalistic. Ultimately, whatever you choose will be special, not because of the blooms you choose, but because they came from you. You can use these tips to help select a more masculine gift, though even the most feminine orchid may still bring a smile to his face repeatedly throughout the day because it reminds him of you and your thoughtfulness. At Bloom Magic, we specialize in creating moments just like this. Our expert florists dream up arrangements and then carefully piece them together by hand, using fresh flowers, so your gift will continue to bring warm feelings and look great for a long time. 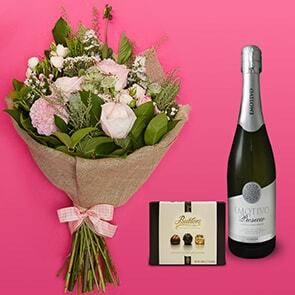 We also make it easy to choose just the right arrangement for the man in your life. 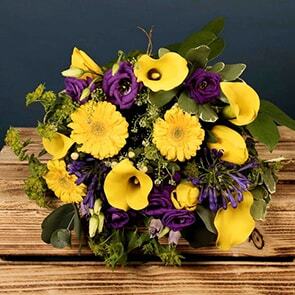 Simply browse flowers for delivery by searching in your recipient’s location, and place your order today. Of the panoply of website I've pored over this has the most vecraity.